Generally, fantasy fiction novels are by product of total imagination, there you will be in different landscapes with strange set of people and other creatures like monsters and dragons and so on. However, it is rare to see a fantasy novel mixing up other land and earth’s setting into one to present a captivating backdrop. 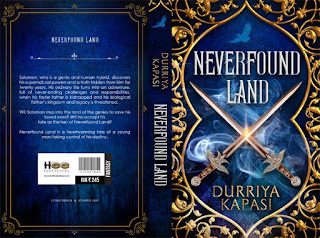 Well, Durriya has done this miracle second time, with her novel Neverfound Land. This novel is a proper sequel to her previous novel ‘Once Upon a Genie’. Well, to have proper fun off this novel, we would recommend you to go through the first one – Once Upon a Genie. And even if you missed it, no worries the author has made all possible attempts to make story linkable – as you will have a strong and informative preface, and then you will see it all through the formative years of Solomon – the protagonist of the novel. In the first novel, we saw that Daisy – a young beautiful girl – falls in love with a genie named Khalil. However, they were not destined to live together. Thus, they parted, but out of their love born out Solomon – the dashing child. Not to forget, he is a special child owing to that love affair. The major chunk of the story goes into explaining that he is a special child – if you have seen Superman movie – well then you could relate perfectly. The story is based around Soloman and his discoveries about his past life, parents, his genie world and some other things. As soon as it comes out that Solomon holds special powers, trouble begins visiting him frequently. Because of his roots to the genie world, he gets into deep trouble and it increases many fold when his foster father gets kidnapped and mother grows restless. But why is that people from the genie land are behind him. There has to be some mystery to be solved, some fear to be diminished for someone? Yes, as a reader you need to find out that. In search of truth and to save family from an untoward crisis, Solomon has to take a route that is not only tumultuous but less-traveled. Talking about sequel, it seems to be a perfect resume to the things left behind in ‘Once Upon a Genie’. 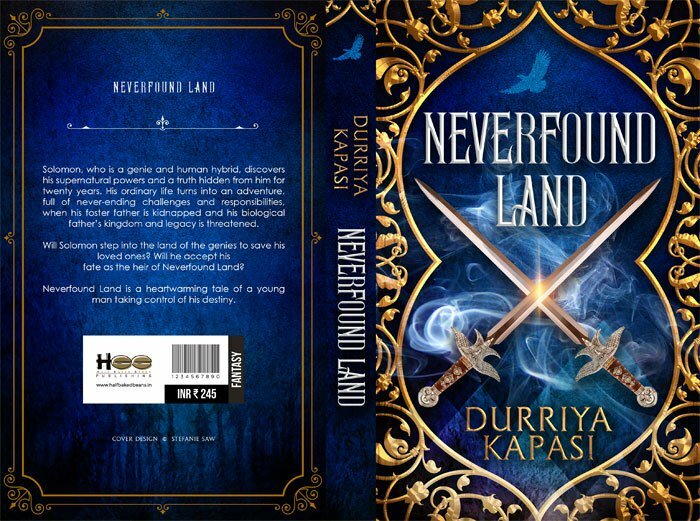 Over a time, Durriya has evolved as a writer – she got better with cross-cultural settings and many other aspects that matter most for building a credible novel. However, the only suggestion is that the length of the novel could have been lengthier, as in fantasy fiction as you travel along with your characters, you feel like being into that backdrop forever…no wants to come out of that…remember The Lord of the Rings series. Anyway, without giving away we can conclude that it’s a riveting read for her new as well as familiar readers. This time she has kept a tight vigil on her narration, and attributes like well-written and well-edited contribute most to its overall success.